An Apple a day keeps the doctors at bay? At Snapcraze we wanna keep you just excited and in-the-loop as we are about all things Smartphone so buckle up and surf the waves of delight as we bring you your daily dose of Apple updates in anticipations peak just hours before the official unveiling of Apple’s upcoming releases. According to various reputable sources, it is safe to assume that Apple will be releasing 3 new Apple handsets, Apple Watch Series 4, Macbook Air, Mac Mini iPad Pro 2018 and the long-awaited Airpower charger that was officially announced almost a year ago! Way to keep leave us hanging, Apple!!! However; if the 3 handsets are as craze-ee as we expect all will be forgiven. Since the offical announcement is mere hours away we’ve decided we can wait a few more hours to Gather ‘Round and revel at the additional releases but when it comes to handsets you know we have to get snappy and get the craze juices flowing! So here are a few ‘knows’ and ‘got-to-knows’ of the 3 upcoming Apple handsets! The 3 handsets to be unveiled by Apple are expected to boast a enormously impressive 6.5 inch for you ‘size matters’ type o’ folks, a 6.1 inch and a 5.8 inch device for you ‘its performance that matters’ okes! See what we did there? Haha! 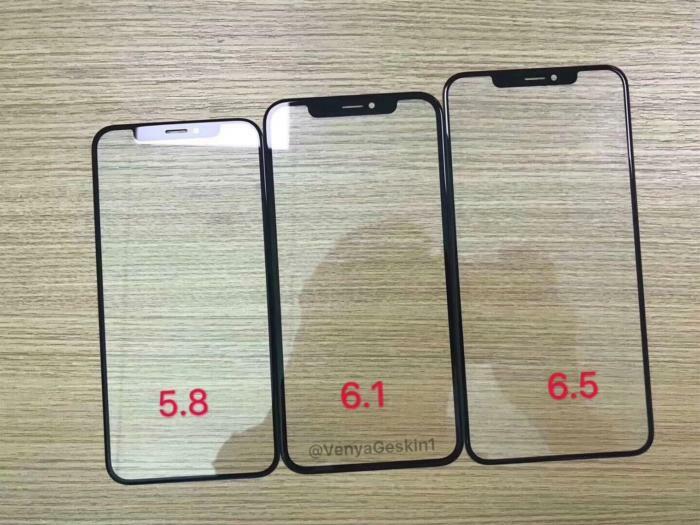 On to the good stuff..
iPhone XS for the 6.5 and 5.8 inch models – how we will differentiate between the different sizes is still unclear. 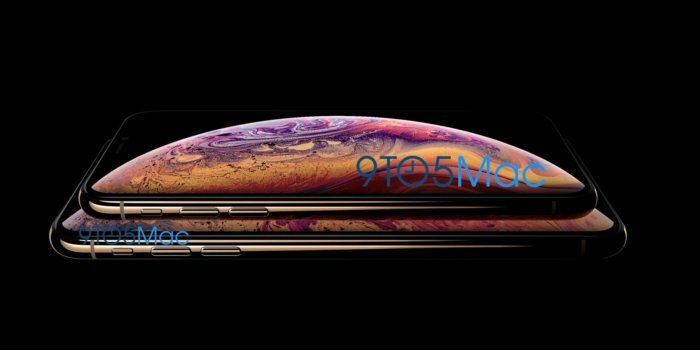 Some speculators have claimed that the biggest of the bunch could carry the name iPhone XS Max whilst ideas for the name of the 6.1 inch model could be anywhere along the lines of iPhone Xr and iPhone 9. The colour variants for the existing Apple handsets were such a hit that Apple may just keep at it in Silver, Space Grey and Gold. The overall design of the XS and XS Max could retain the look of its iPhone X predecessor – because if it ain’t broke, why fix it! As for display – these guys would be crazy not to hop aboard the OLED charters. First featured on the iPhone X; this OLED display is awesome not only for its fancy name but for its superior colour accuracy and viewing angles. Whilst the iPhone Xr or iPhone 9 if you will; could sail aboard the Full Active LCD display and sport a less-pricey single rear camera sensor. The 3 handsets will most certainly ship with Apple’s A12 processor – the first 7nm (nanometer) chip which can compare with Huawei’s soon-to-come Mate flagship. 4 GB RAM is expected on all 3 models and storage options may follow in the footsteps of its Apple predecessors at 128 GB, 256 GB and 512 GB configurations. YOU MAKE ME FEEL BRAND NEW!!! We’ve speculated much of the same awesome specs that we’re used to seeing from Apple so here’s some cutting edge, spanking new possible features that might make you see iPhone in a whole new light… We’re talking eSIM support – an electronic sim card built into the phone that makes the switch between network providers hassle-free and the fear of hackers non-existent as you will no longer need a physical SIM. Power could come in the form of an L-shaped battery design for the XS Max and XS models which should reach heights of around 2900 mAh – 3000 mAh and 3300 mAh – 3400 mAh respectively; as well as 2800 mAh for the iPhone Xr/ iPhone 9. Both the XS Max and XS is expected to feature dual camera modules on their rear-end… yes, I know what I just said – I feel no shame haha! And on the forefront both phones could feature TrueDepth cameras which could be used for Animojis and Memojies in iOS 12. The 6.1 inch iPhone Xr/ 9 should have a single camera on the back and just like its big brothers a TrueDepth camera on the front. This entry was posted in iPhone, Pre-launch excitement, Unboxing Videos and tagged A12 Processor, Apple, Apple Gather Round Event, Apple handset concepts, dual camera, eSIM, Expectations, i, Intel Modems, iPhone 9, iPhone launch, iPhone Xr, iPhone XS, iPhone XS Max, L-shaped battery, OLED, Pre-launch discussions, Pre-launch excitement, Predictions.